Set on Lake Ontario, Toronto is the fourth largest city in North America. It is a very cosmopolitan, diverse city, affluent, with a great arts and culture scene. Many travelers to Toronto will stay downtown, where there are many large office & apartment buildings, and numerous hotels. This is our guide to running in Toronto, Ontario. 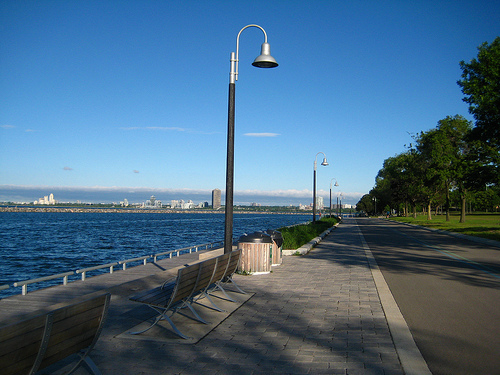 The highlights of Toronto running are several spots along the lakeshore, including the Martin Goodman Trail. 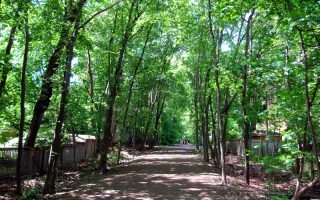 There are also good linear parks and trails near downtown, such as the Beltline and Don River trails. Another running favorite is The Island — a 15 minute ferry ride from downtown. Toronto is a geographically large and spread out city. 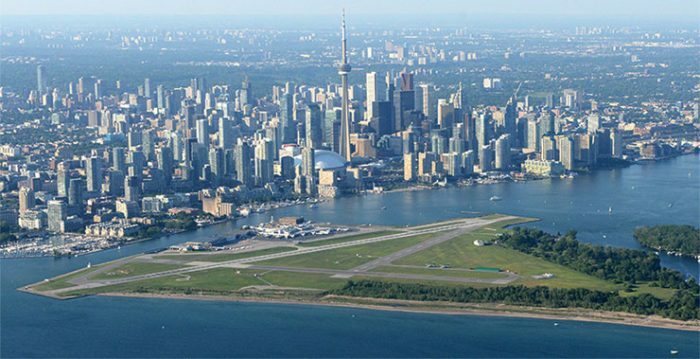 Major ‘business traveler’ suburbs include Mississauga and Etobicoke. There is good public transportation, called the “TTC”. The subway runs within the downtown limits and to the north, and there’s an extensive bus system. One note here is that there is a TON of development in downtown Toronto, and things around the waterfront are constantly changing. There is a concerted effort to improve the trails, and transportation, along the waterfront. Note: you might see distance markers in km rather than miles. 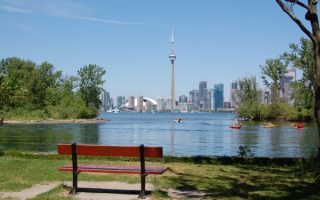 Downtown: Queens Park/downtown tour, Martin Goodman Trail. 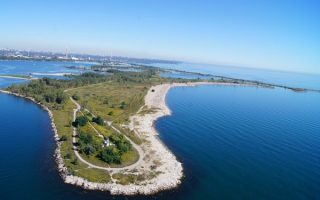 Waterfront/South: Martin Goodman Trail and waterfront trails, The Island. West: Martin Goodman trail west, Humber River, Sunnyside Beach, High Park. East: Beaches, Lower Don Valley River trails, Distillery. Midtown: Beltline Trail, Mt. Pleasant Cemetery, Forest Hill and Summerhill/Yorkville/Rosedale neighborhoods. Northwest/Pearson Airport: Trails in Mississauga, Etobicoke. Some great waterfront running 4.5 miles west of Queen’s Quay. Includes Humber Bay Shores Park, Humber Bay Park East and West, and Mimico Waterfront Park, then looping back to the bridge. 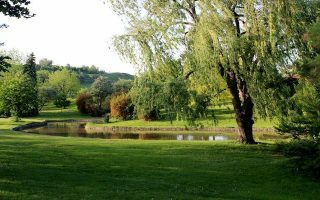 A wonderful 400 acre park just north of the lakeshore and Sunnyside Beach. 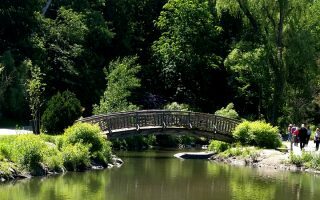 There are lovely gardens, little bridges, ponds, and waterfalls, and some more secluded trails. A linear park running about 8 miles through the northeast part of the city, connecting the neighborhoods of Rosedale, Moore Park, Forest Hill, Chaplin Estates, and Fairbank. The trail consists of three sections. A popular area to visit in Toronto. 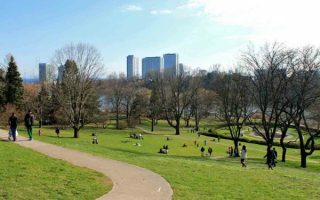 A series of parks and trails provide a nearly 11km run from the Botanical Gardens in the north to Bloor & Bayview in the Cabbagetown area in the south. Also connects to the Lower Don River Trails. 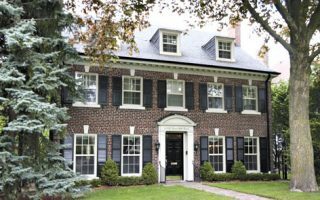 An overview of some of Toronto's pleasant residential neighborhoods in the midtown area: Forest Hill, and the Summerhill/Rosedale/Yorkville area. A 5-mile tour of downtown Toronto landmarks. 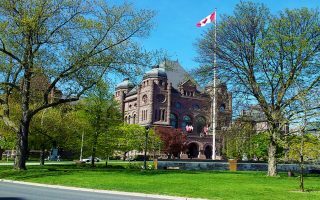 Start at City Hall, and run by The Royal Ontario Museum, Queen’s Park, the Art Gallery of Ontario, and the University of Toronto. This is a good option slightly east of downtown. 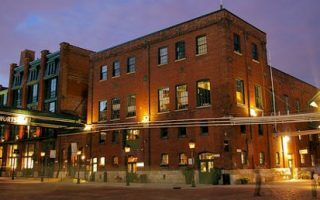 Enjoy a quick jaunt through the Distillery Historic District (fun shops, restaurants), and join the Lower Don River Trail in the aptly named Corktown Commons. A fun residential community near the water about 3 miles east of downtown. 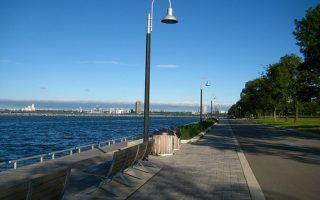 There are some good running options here, including the Woodbine Beach Boardwalk, and the “Spit” out to the lighthouse. A 15 minute ferry ride from downtown, the ‘Island’ is a great destination for runners, with numerous trail options. 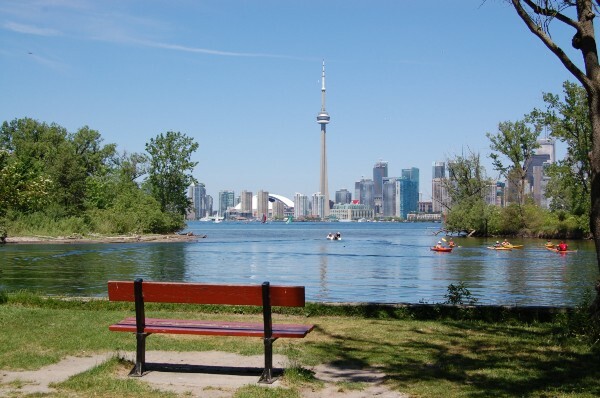 There are beaches, picnic grounds, a lighthouse, a disc golf course, gardens, and great views of the Toronto skyline. 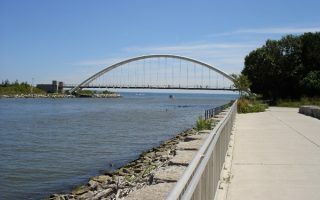 Several options in the suburb of Missassauga and near the airport, including the Etobicoke Creek Trail, Centennial Park, West Dean Park, and the West Humber Parkland. Toronto topography is fairly flat. The weather is continental. Warm, humid summers with long days, high temps 80F in July/August. Winters are cold, with average highs just below freezing. About the same as Chicago and not nearly as cold as Montreal, and not too much snowfall. Toronto is a very spread out city. The core downtown area is bound by Bloor St. to the north, Bathurst St. to the West, the Don Valley Parkway to the east, and the waterfront to the south. There are many hotels downtown. Try to stay south of College or Queen for good access to the waterfront paths. There are some good hotel options to the west, toward High Park/Sunnyside Beach, but not much to the east of the Don Valley Expressway. 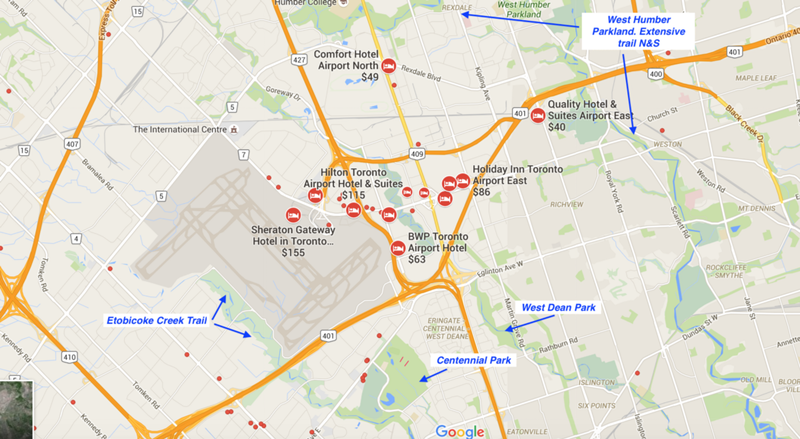 Below are hotels and options near Pearson airport. Running Room. The leading Toronto running store chain with several locations: North (York Mills), downtown (Yonge & King), Beaches, High Park. List of stores and group runs. They also have an extensive series of route maps of various lengths from each store. MAP. Thanks here to Ed Mark, who is one of the Running Room’s ‘ambassadors’, for his help. Black Toe Running (Bathurst & Queen). Group runs nearly every day. Registration required for some. List here. The Runners Shop. Near University of Toronto and Royal Ontario Museum. Canada’s oldest specialty running store, opened in 1975. Running Room. Near Univ. of Toronto. Group Runs: Weds. 6pm, Sun 8:30 a.m.
Running Room. Group runs Wed. 6:30 p.m. & Sun. 8:30 a.m.
Spring Run Off. April. 8k and 5k. Part of Canada Running Series. High Park. Yonge St. 10k. June. Part of Canada Running Series. Waterfront. Pure Protein Night Race. September. Sunset Shuffle. August. On The Island. Can get sold out. Scotiabank Toronto Waterfront Marathon. October. Longboat Race, Toronto Island. September.